Discussion of fuels-related regulations, including government certifications and sustainability regulations such as the Renewable Fuel Standard, and their impact on the biofuels industry. Developers of novel renewable fuels or new methods of manufacturing biofuels may need to obtain EPA approval for their production pathway in order to qualify to generate Renewable Identification Numbers (RINs) under the U.S. Renewable Fuel Standard (RFS). This is a topic I’ve covered in several previous blog entries, particularly in 2014 when EPA revised its procedures and guidelines for submitting petitions for new pathway approvals. Briefly, if a fuel is produced by a pathway that is not already qualified under the RFS regulations, the developer must submit a detailed petition to the Agency describing the process to substantiate that it meets the requirements of the law, including achieving the applicable threshold of reduction of greenhouse gas (GHG) emissions. I’m happy to report the success of one petition process with which I’ve been involved. Joule Unlimited Technologies recently announced that it received EPA approval for its Sunflow®-E ethanol process as an advanced biofuel, thus qualifying the pathway to generate advanced biofuel (D-5) RINs. To make its Sunflow-E ethanol, Joule converts CO2 to ethanol directly in a continuous process, using engineered bacteria as living catalysts. To qualify for the category of “advanced biofuels” under the RFS, the production pathway must reduce lifecycle GHG emissions by more than 50% when compared to traditional petroleum based fuels. In the EPA’s analysis of Joule’s petition, Joule’s Sunflow-E was found to reduce lifecycle GHG emissions by 85%, significantly above the required threshold. Working as a consultant to Joule, I was the company’s liaison to EPA throughout this petition process, and I helped coordinate the in-house work of a very talented and dedicated technical team to draft the petition and to make this approval possible. EPA’s approval letter of the Joule pathway can be found on EPA’s website. You can see Joule’s press release for more information on Joule and the Sunflow-E ethanol process. Please contact me if you have any questions or would like assistance with any matter relating to the Renewable Fuel Standard or other renewable fuels-related issue. Here’s a brief summary of some recent regulatory and policy developments relating to biofuels, bio-based chemicals, and industrial biotechnology. EPA Biotechnology Regulation under TSCA. After a long period with no updates, EPA recently updated its website listing Microbial Commercial Activity Notices (MCANs) that it has reviewed and cleared. The listing, which appears to cover MCANs submitted up to the end of the 2014 fiscal year (September 30, 2014), shows 19 previously unlisted MCAN filings, bringing the total for FY14 to 21, by far the largest number ever received in a single fiscal year. Included were 6 new MCANs for modified S. cerevisiae for ethanol production, 8 MCANs for production of enzymes from modified Trichoderma reesei strains, two new MCANs from Solazyme for modified microalgae, and a consolidated MCAN from Algenol covering three strains of enhanced algae for ethanol production. Like an earlier MCAN from Joule Unlimited, the Algenol MCANs were approved via a Section 5(e) Consent Order. I hope to analyze these new MCANs further in a future blog post. Growing Congressional interest in TSCA reform. I’d also note that there has been considerable (and somewhat surprising) momentum in Congress so far this year on TSCA reform – a subject that has been brewing in Congress for the past several years and which now appears to have bipartisan support. Until recently, prospects for passage of TSCA reform were unclear, particularly in view of the current control of Congress by the Republican Party and the 2013 death of a key proponent of TSCA reform, Senator Frank Lautenberg. However, as of this writing, two TSCA reform bills have been introduced in the Senate, one by Senators Udall of New Mexico and Vitter of Louisiana (Senate Bill S.697), which has bipartisan backing, and a competing bill filed by Senators Boxer of California and Markey of Massachusetts (Senate Bill S.725), which addresses liberal concerns by allowing a broader role for the states. In addition, a discussion draft of a House bill for TSCA “modernization” was recently put forward by Representative John Shimkus of Illinois. The reforms proposed in these bills are largely directed at chemical safety and risk assessment, and in my initial analysis nothing proposed so far this year would affect EPA’s biotech rules under TSCA. I hope to report on and analyze TSCA reform efforts in a future blog post. U.S. Renewable Fuel Standard. As I described in my October 2, 2014 entry and follow-up posts in the blog, last fall EPA announced new guidance for companies wishing to petition for acceptance of new fuel production pathways in the RFS. EPA has now begun granting petitions for new fuel pathways under these new procedures. Most of the approved petitions are for corn starch-to-ethanol pathways under the newly-instituted Efficient Producer program, but recent approvals have also included a new pathway for production of ethanol from algae, submitted by Algenol Biofuels. There has also been a lot of recent activity regarding EPA’s continuing struggles to issue final volume mandates for 2014 and 2015. I’ve summarized this situation in a post today in my companion blog Biofuel Policy Watch. AAFCO/FDA Memorandum of Understanding. 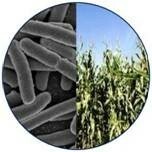 Of interest to companies developing novel microorganisms for industrial purposes that wish to utilize spent microbial biomass in animal feed, the FDA Center for Veterinary Medicine (CVM) and the Association of American Feed Control Officials (AAFCO) have renewed their Memorandum of Understanding regarding review of new animal feed ingredients. As previously reported in the blog, FDA CVM and AAFCO first entered into such an MOU in 2009 and renewed it in 2012, to specify how they would work together to ensure appropriate scientific review of substances proposed for use in animal feed. The 2012 MOU was slated to expire on September 1, 2015; the new MOU will remain in effect until October 1, 2017. FDA’s brief press release can be found here, and the MOU itself can be found here. At the same time, FDA announced a plan to review the list of ingredients in the AAFCO Official Publication, to determine which of these might be officially given GRAS status, to align the AAFCO ingredient listings with FDA regulatory processes. Industrial biotech companies are increasingly taking advantage of the AAFCO process to gain approvals needed to have spent microbial biomass used in animal feed products such as dried distillers grains. Other recent developments. In my companion post today on Biofuels Policy Watch, I’ve described recent developments relating to the ongoing efforts to amend the EU Renewable Energy Directive and regarding legislative developments to extend Oregon’s Clean Fuels Program. I’As I’ve mentioned in the last several blog posts, I will be speaking on a panel next week, Tuesday, December 9, at the BIO Pacific Rim conference. I’ll be speaking about the U.S. Environmental Protection Agency’s recently announced new guidance and procedural changes for new fuel pathway petitions under the Renewable Fuel Standard (RFS), as well as the corresponding pathway application process under the California Low Carbon Fuel Standard (LCFS) and the changes contemplated for this process. As reported in a previous blog entry, the EPA announced on September 30, 2014 that it had completed its review of the new pathway petition process under the RFS, a process by which developers of novel renewable fuels can apply to have the new fuel reviewed and approved by the agency for inclusion in the program. This review had been announced in March, in part to address the significant backlog and long review times that had accrued in the petition program. In September, the agency unveiled a greatly-improved website with information on many aspects of the petition program, which can be found at http://www.epa.gov/otaq/fuels/renewablefuels/new-pathways. The site features easily-understood menus with links to guidance on the petition process, information about the regulations governing new pathways, and listings of approved and pending petitions. Most importantly, EPA has issued a new guidance document for industry, with detailed instructions for how to prepare new pathway petitions. In my talk at the BIO conference I’ll describe the improvements made to the RFS petition process, walk through EPA’s guidance to industry, and provide some additional insights into the new program gleaned from a recent conversation with EPA staff. I’ll also discuss the new pathway application process under the California LCFS. This program in California is so important for industry because of the size of the fuel market in the state, and the LCFS provides a program to promote the use of renewable fuels in California that in many ways is analogous to the federal RFS program, although there are some key differences between the programs. The LCFS regulations provide a mechanism for new fuels to be accepted into the program, and the staff of the California Air Resources Board has been considering revisions to the application process to help alleviate the significant backlog of applications which has arisen. I described the staff’s first iteration of such revisions (among other topics) in a Biofuel Policy Watch blog post earlier this year. Although this revision process is still ongoing, at my talk I’ll discuss the current procedures and the proposed revisions. I’ll plan to post a more comprehensive summary of my talk after the conference and I’ll also be posting my slides on my SlideShare site. I hope to also blog about other significant developments or interesting talks that I hear during the Pacific Rim Summit. As reported in a previous blog entry, the U.S. Environmental Protection Agency announced on September 30, 2014 that it had completed its review of the New Pathway Petition process under the Renewable Fuel Standard. In yesterday’s post, I summarized what EPA has done and briefly analyzed the new Guidance that Agency has issued to help applicants prepare new petitions. Today’s entry provides a more complete section-by-section analysis of the Guidance document. EPA created a greatly-improved website with information on many aspects of the petition program. The site features easily-understood menus with links to guidance on the petition process, information about the regulations governing new pathways, and the web pages listing approved and pending petitions. The new website includes a page entitled “How to Submit a Complete Petition”, which includes links to a new guidance document for industry, with detailed instructions for how to prepare new pathway petitions, which can now be submitted electronically via EPA’s web server. Also posted on the web is a screening tool, in the form of a spreadsheet that the agency wants companies to use to submit the data needed for EPA to complete the life cycle analysis of the pathway that is required under the regulations. The following is a summary of the sections included in the new Guidance document, along with brief explanations of what each section entails. Much of the requested information would have reasonably been expected to be required from a reading of the applicable regulations, but there does appear to be certain requested information that would not have been obvious from the prior guidance. In any event, having this Guidance document available to provide a format and organization for the requested data will be very helpful for future petitioners. A. Cover Sheet. The document provides the format for a simple cover sheet, that is to include basic information about the company and the fuel type (i.e., category of RIN proposed). The document also gives guidance for how to prepare the cover sheet and the petition if there are multiple applicants. A complete narrative description of the process, sufficient to give the reader a clear understanding of what is proposed. An executive summary of the pathway (no longer than 1-2 pages). A process flowchart for each fuel type requested (non-confidential; applicants can include a confidential version as an attachment or appendix). Comparison to other pathways previously reviewed by EPA. Justification of commercial viability, which will help EPA prioritize and triage petitions. Information on historical (5 years previous requested) and projected (10 years recommended) fuel volumes. Although most of this information is as expected, and is consistent with earlier guidance from the Agency, I believe the requirement in the final bullet is new, and may pose difficulties for companies early in development. EPA had previously given guidance to companies to file petitions as early as possible, but if several years of operating data are required, this would defeat the purpose of the RFS in promoting development of novel early-stage technologies not previously on the market. C. Organizational information. Basic information about the company and the identity and contact information for the corporate officer who will be the point of contact for the submission. Chemical composition of the fuel, based on actual sampling and lab testing; demonstrating that it meets applicable specifications. Provide recommended equivalence value for the fuel, under Section 80.1415 of the regulations. Describe certification status under 40 CFR Part 79, or ASTM process re jet fuel. I don’t believe it was clear from EPA’s previous guidance that the Agency wanted to see information on the chemical composition of the fuel, much less evidence based on actual testing that the fuel met the applicable specification, although this is a reasonable thing for the agency to request. Along with the requested historical information on the process, this implies that the Agency now prefers to see applicants file petitions once they are already in production, as opposed to their previous advice to file petitions early. E. Production Process. The following information is requested about the production process. The document indicates that, for process types EPA has not previously evaluated, it will need a greater amount of information to perform its lifecycle GHG analysis than for those that are variations on more familiar, previously-approved pathways . Type of Production Process. A brief explanation of each process, no more than 1-3 sentences for process technologies EPA has previously evaluated; no more than 1-2 pages for new technologies. Mass and Energy Balances, using EPA-supplied spreadsheet. Note that there does not appear to be any explicit provision that the company perform its own LCA, but this would be implied by the need to develop the mass and energy balance information that is requested, and also the requirement of proving that the applicable GHG emission reduction threshold has been met. Historical Process Data – requesting at least 2 years of data to support mass and energy balances, although the applicant can explain why such data is not available. Other information about the process, which EPA states may be shared with DOE, USDA as needed for review of the petition. This could Include information on “energy saving technologies” or other process improvements inherent in the pathway, special provisions (which would presumably include limitations needed to achieve the needed greenhouse gas emission reduction), info on use of input fuels which themselves might be approved under RFS, letters of support from experts and other third parties, etc. Type of Feedstock. A brief description of the feedstock, recommended not to contain confidential information. Detailed information for new feedstocks, including a technical definition (genus and species, chemical composition), identification of the category of renewable biomass for which the feedstock qualifies; volume of fuel projected to be produced from the feedstock, including modeling of the market potential of the fuel; estimates of the yields of fuel from the feedstock; land use data; market value of the feedstock; possible alternate uses for the feedstock; farm input data; mass and energy balances for feedstock pre-processing; and information on the potential invasiveness and other potential environmental impacts of the species used as feedstock. This data too may be shared with USDA or DOE as appropriate. G. Co-Products. Similar (but less extensive) information is requested regarding any co-products that might arise from the pathway. This specifically includes a technical description of each co-product, the estimated market value of the co-product, and some additional information for co-products intended to be used as animal feed. This section will likely not be applicable to Joule. H. Attachments. Any attachments to the petition would be included in this Section H.
Overall, I believe the new Guidance document will be very useful for companies seeking to have new pathways approved under the RFS. Over the next few weeks, I’ll be preparing the talk on this new petition process that I’ll be giving at the at the BIO Pacific Rim conference this coming December, and during that time I plan to speak to EPA representatives to clarify some questions about this new guidance. I’ll report on what I learn, and I’ll also plan to post additional information about my talk as the date gets closer. Please look for tomorrow’s post for a more detailed section-by-section summary of the new Guidance document. As reported in the previous blog entry, the U.S. Environmental Protection Agency announced on September 30, 2014 that it had completed its review of the New Pathway Petition process under the Renewable Fuel Standard. Today’s entry will summarize what EPA has done and briefly analyze the new Guidance that Agency has issued to help applicants prepare new petitions. Tomorrow I’ll post a more complete section-by-section analysis of the Guidance document. As I described in an earlier blog post, many developers of novel renewable fuels need to petition EPA to have their production pathway approved as meeting the requirements of the RFS. I reported in a March 20, 2014 blog entry that EPA issued a Program Announcement in March 2014 to say that it was initiating activities to improve the petition process for new RFS fuel pathways, to enable more timely and efficient decision-making, and to provide improved guidance to companies considering submitting new petitions, to try to substantially reduce the large backlog and long processing times for pending petitions. The agency asked companies to voluntarily hold off on submitting new petitions during this process, which was expected to take 6 months, a time frame which was indeed met by last month’s announcement. One significant outcome of the agency’s review has been creation of a greatly-improved website with information on many aspects of the petition program. This can be found at http://www.epa.gov/otaq/fuels/renewablefuels/new-pathways. The site features easily-understood menus with links to guidance on the petition process, information about the regulations governing new pathways, and the web pages listing approved and pending petitions. The new website includes a page entitled “How to Submit a Complete Petition”, which includes links to a new guidance document for industry, with detailed instructions for how to prepare new pathway petitions, which can now be submitted electronically via EPA’s web server. Also posted on the web is a screening tool, in the form of a spreadsheet that the agency wants companies to use to submit the data needed for EPA to complete the life cycle analysis of the pathway that is required under the regulations. The new document is very thorough, but is also fairly clear on the requirements for new pathway petitions. The Guidance covers many different possible scenarios (e.g., multiple applicants, petitions from feedstock developers rather than fuel producers), and so several of its sections may not be applicable to all petitioners. The requested information largely conforms to information previously believed to be required from the regulations and EPA’s website, but nevertheless will be beneficial to submitters in clearly specifying the data EPA wants to see, and the format in which to present it. As laid out in the Guidance document, it appears that a significant amount of information and data may be required in a petition, particularly for pathways involving agricultural crops as novel feedstocks. It is not clear how these newly-specified requirements will affect the ability of small, early-stage companies to submit successful petitions. Petitions can now be submitted via EPA’s central data server, by e-mail, or in hard copy. The document provides clear guidance for the information needed in a petition and how EPA expects the information to be presented and formatted. However, not all portions of the requested information might apply to all applicants, and so prior consultation with EPA would be recommended for most applicants. Further, the document clarifies some issues that were somewhat unclear under the previous system: for example clarifying the levels of detail needed for various pieces of information, and clarifying how an applicant might request an approval that depends on specific limitations or provisions for the pathway that are needed to achieve the threshold greenhouse gas reduction levels. One potentially troubling aspect is that the document seems to be requiring a substantial amount of prior operating data for new pathways, projections of production volumes several years into the future, and (with regard to agricultural feedstocks) detailed information on markets and production needs. One can understand why EPA might want such data, but it begs the question of whether this will pose a difficult burden for early-stage companies that might not have such historical data or the resources to develop the requested production and market forecasts. Presumably EPA will have some flexibility on these and other aspects of the requested data. On Tuesday this week, September 30, EPA announced (without much fanfare) that they had completed their review of the New Pathway Petition process under the Renewable Fuel Standard, and that it was issuing new guidance to companies to assist in the preparation and submission of new petitions (many developers of novel renewable fuels need to petition EPA to have their production pathway approved as meeting the requirements of the RFS; see this earlier blog post for more background info). As I reported in a March 20, 2014 blog entry, EPA issued a Program Announcement in March to say that it was initiating activities to improve the petition process for new RFS fuel pathways. At that time, EPA said that it found “that improvements should be made to the petition process to enable more timely and efficient decision-making” in the RFS program, particularly including improved guidance to companies considering submitting new petitions, and with the goal of substantially reducing the large backlog and long processing times for pending petitions. The agency asked companies to voluntarily hold off on submitting new petitions during this process, which was expected to take 6 months, a time frame which was indeed met by this week’s announcement. One significant outcome of the agency’s review has been creation of a greatly-improved website with information on many aspects of the petition program. This can be found at http://www.epa.gov/otaq/fuels/renewablefuels/new-pathways. The site features easily-understood menus with links to guidance on the petition process, information about the regulations governing new pathways, and the web pages listing approved and pending petitions. Most importantly, EPA has issued a new guidance document for industry, with detailed instructions for how to prepare new pathway petitions, which can now be submitted electronically via EPA’s web server. Also posted on the web is a screening tool, in the form of a spreadsheet that the agency wants companies to use to submit the data needed for EPA to complete the life cycle analysis of the pathway that is required under the regulations. I have only just begun to review the Guidance document and the other new materials. I plan to post a more detailed summary and analysis of the guidance document within the next 1-2 weeks. Also, I will be discussing and analyzing this new policy at a talk at the BIO Pacific Rim conference this coming December (the talk will also cover the petition process under the California Low Carbon Fuel Standard). So please look for further blog posts this fall as I continue to study and familiarize myself with this new guidance, and as I prepare my presentation for December.